Calling all eggnog lovers! This one's for you. How do you improve on this decadent drink? You add homemade spiked whipped cream. 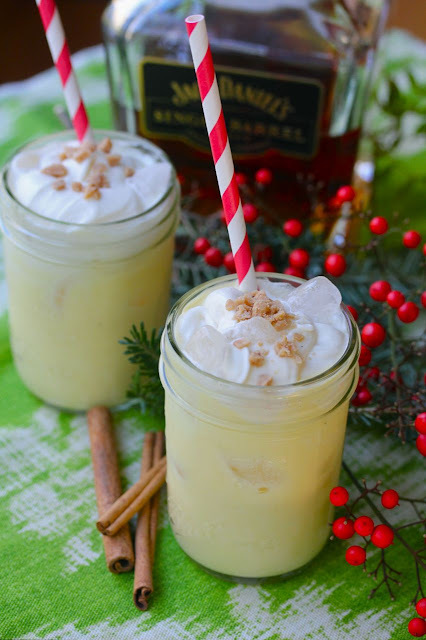 I mixed this one up for the Society Social blog so hop on over for the recipe and wish them Happy Holidays!